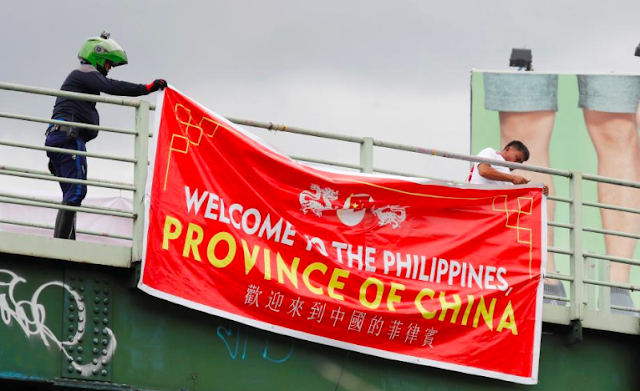 As red tarps bearing the message "Welcome to the Philippines, Province of China" were spotted hanging on various pedestrian overpasses, in time for the 2nd anniversary of PH victory against China in the arbitration case on the disputed South China Sea, University of Santo Tomas (UST) alumnus Mark Lopez shared his noteworthy opinion regarding this matter. Lopez, who is also a social media blogger and radio broadcaster confer and speculates the involvement of the opposition about this. Yung mga nagpakalat ng mga banners ngayon na may nakalagay na “Welcome to the Philippines, Province of China” eh gusto mag ingay dahil ngayon yung anniversary ng ruling ng Permanent Court of Arbitration (PCA) sa the Hague. Ito ung kaso na sinampa ng Aquino admin against China patungkol sa West Philippine Sea. Naibaba ang ruling July 12, 2016. 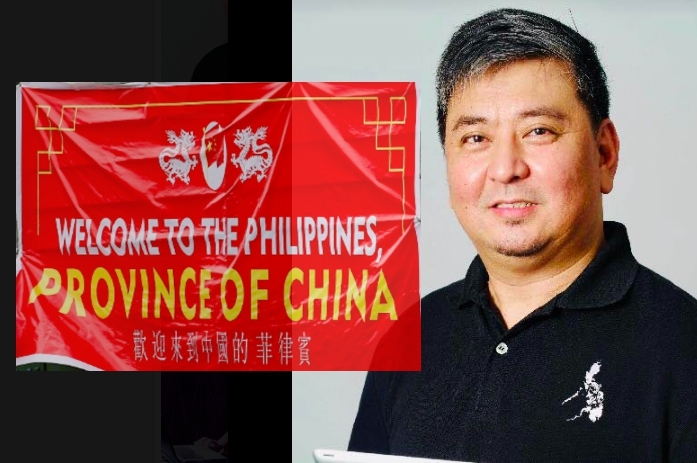 Supposedly nanalo ang Pilipinas sa ruling, pero hindi naman ito dinaluhan o tinanggap ng China. Ang mga mahihilig lang naman na ibandera ang panalong ito eh ang mga dilaw. And pansin nyo na nung biglang sumulpot yang mga tarps na yan kaninang umaga eh ang bilis ng komentaryo ng mga dilawan? Si Florencia nga nasa TV kagad at right on cue, may interview na kagad. Ibang klase din ang style ano? Meanwhile, Malacañang earlier released a statement that the "enemies of government" were behind the installation of tarpaulins tagging the Philippines as a province of China that have sprouted in some areas of Metro Manila. 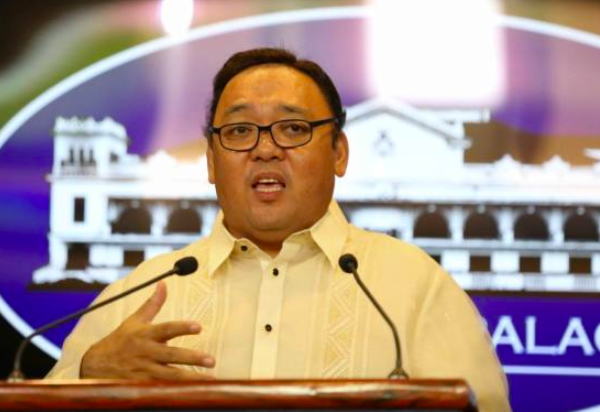 Presidential Spokesperson Harry Roque said, "Nagpo-provoke lang po siguro iyan. They are obviously propagating a lie that we have given up on our national territory. It’s farthest from the truth… It’s absurd and I’m sure it’s the enemies of our government behind it. So to them: try again, you need a better gimmick than that."